In order to designate a user as a supplier both the user type and user must be designated as a supplier. 1. In the Admin Settings tab select User Types. 2. Find the User Types you wish to allow to be suppliers and check the box "Can be supplier" underneath the User Type header. 3. Next, navigate to each individual user you wish to allow to be suppliers and check the boxes labeled "Is supplier" underneath the Supplier Info header and provide an address for the supplier. 1. In the Admin Settings tab under General Settings find the Purchase Order Settings header. 2. From the numbered dropdown select the user type which will be required to approve purchase orders. 3. Enter in a dollar amount threshold which will require the designated user type to approve the Purchase Order. Note: If the Purchase Order amount is below the first indicated dollar threshold the Purchase Order will automatically be approved. The Purchase Order will move through approval levels based on the dollar amount. 1. Select the Admin Settings tab. 2. Navigate to Global Settings and enter the tax rate which will be applied to all Purchase Orders. Note: The addresses for the Ship To and Bill To fields are entered in the address fields at the building level. 2. From the drop down labeled "Default Bill To Address" select from the dropdown the building address which will automatically be selected as the Bill To Address on purchase orders. This default may be manually overridden. 3. If the building address is not listed in the dropdown options, select "Other" and enter the address in the resulting "Other Default Bill To Address" field. 2. From the drop down labeled "Default Ship To Address" select from the dropdown the building address which will automatically be selected as the Ship To Address on purchase orders. This default may be manually overridden. 3. If the building address is not listed in the dropdown options, select "Other" and enter the address in the resulting "Other Default Ship To Address" field. Note: A purchase Order may be canceled at any stage in the process. 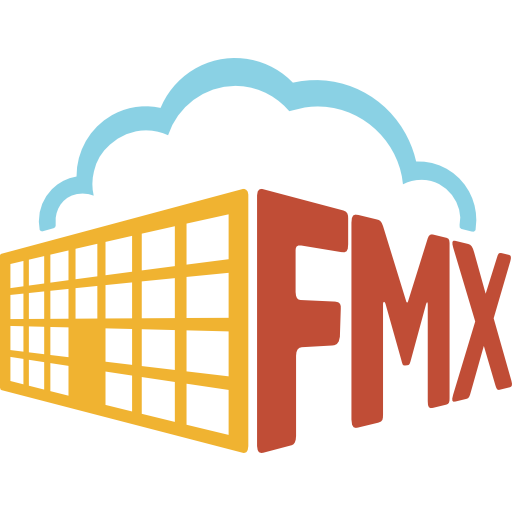 Custom field creation for the Purchase Order Module follows the procedure for creating custom fields in other modules within your FMX site. 1. In the Admin Settings tab, navigate to the Custom Fields section. 2. Enter the name of the field and select a field type. 3. In the dropdown labeled "For" select the "Purchase Order Details" option. 4. Configure the grid setting then select "Save" when complete.